Now she’s an expert on everything from the speed at which they are cracking to camping on them. University of Maine professor Brenda Hall has been on 27 polar expeditions. We have been on exactly zero. But recent news about a crack in an Antarctic ice shelf that has been growing by leaps and bounds in the last few months made us very much want to speak to someone who had and might be able to provide perspective. As luck would have it (well, our luck, her regular work schedule), the teacher and researcher with UMaine’s Climate Change Institute got back just a few weeks ago from a six-week research trip in Antarctica. 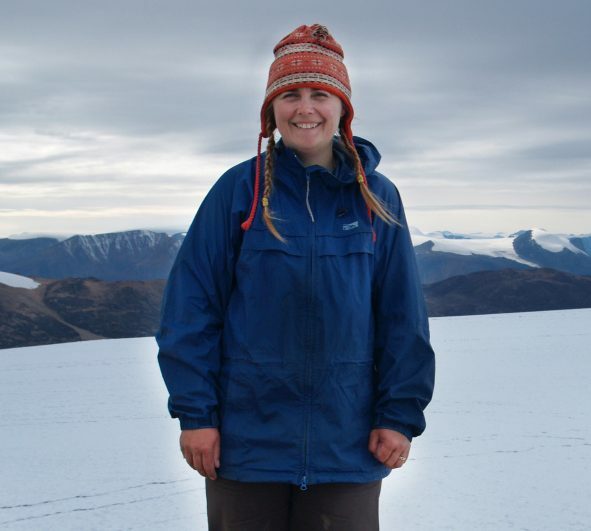 We talked with her about her journey from growing up in Standish to being a globe-trotting expert on glacial geology and the stability of ice sheets. DID YOU ALWAYS KNOW? When Hall was 10 or 11, her grandparents took her to a family reunion. There were lots of extended relatives there, most of whom she didn’t know, and very little in the way of activities that appealed to a child. “I spent most of the time in the library reading.” She came across a book about glaciers. She doesn’t remember the title, only the subject matter. “It captured my imagination at the time.” In high school she took the whole range of science courses, including an earth science class. She went on to Bates College for her undergraduate degree, and that interest she’d had as a child became a career objective. A summer in the Canadian arctic doing field research on lakes with Bates professor Mike Retelle “really cemented” her desire to be glacial geologist. UNPLUGGED: Hall’s studies have not focused on the Larsen C ice shelf (that’s the one the size of Delaware that is cracking and expected to calve, ie, break off from the bigger ice shelf, by March). Her work today is more about the ice’s past “from a few hundred years to a few thousand years.” Her most recent trip was on the Ross Sea, which is far enough away from Larsen C (and wireless) that she didn’t hear anything about what was going on with the deteriorating ice shelf. Or, actually, anything about the rest of the world; Antarctica may be the ultimate unplugged destination. “That’s one of the things I like best,” she said. “It is possible to get away from just everything.” But she’s up to speed with Larsen C now and in awe. “The speed at which it is happening is not unexpected, but it is still pretty amazing. I don’t want to say amazing in a good way.” This calving isn’t supposed to have an obvious impact on sea level, but it’s still worrisome. That’s because these ice shelves act “almost like plugs,” and long term, without it, Hall said, “the ice that feeds from the land starts flowing faster,” accelerating the melting.